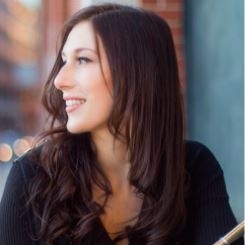 Dr. Erin Helgeson Torres is the Artist/Instructor of Flute at Ohio Northern University where she teaches applied flute lessons, a flute repertoire/literature course and a music technology course, in addition to coaching small ensembles and flute choir. Erin also teaches flute at Muskingum University and core music courses (Popular Music, World Music and Music History) at Ohio Dominican University. Second Flutist/Piccoloist with the Evansville Philharmonic Orchestra and the Principal Flutist of the McConnell Arts Center Chamber Orchestra, Dr. Torres is also an Associate Musician with the Columbus Symphony Orchestra and a regular substitute Second Flutist with the Louisville Orchestra. She performs regularly in various area orchestras including the West Virginia, Central Ohio, Springfield, Westerville and Lima Symphonies. Erin graduated with a Doctorate of Musical Arts and a Masters of Music from The Ohio State University in Columbus, Ohio studying with Professor Katherine Borst Jones. She received her Bachelor of Music Performance at Stetson University in DeLand, Florida studying with Dr. Jean West. She recently completed her Artist Diploma at the University of Cincinnati, College-Conservatory of Music under Dr. Bradley Garner.